You’ll love this collection of Chicken Crockpot Meals and we have something for everyone. They are quick, easy and delicious and you will be spoilt for choice. If you are short on time and love to have healthy meals on standby, Freezer Meals will be your savior. 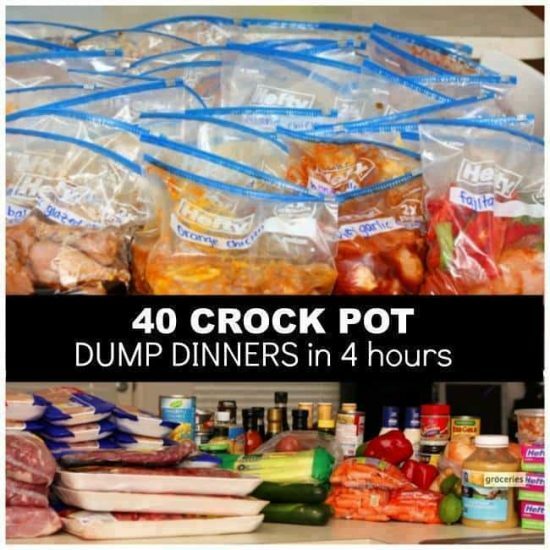 Even better if you have a Crockpot. You can go from Freezer to your Slow Cooker. Just take a look at all the combinations that you can enjoy and the best part, they are simple and few ingredients. This chart above from New Leaf Wellness is a great place to start and with 10 simple recipes, you can see just how well the flavor combinations can work. They’ll save you time and money as you can buy ingredients in bulk or when on special. Keep scrolling and watch the video that shows you how to make your Chicken Freezer Meals. Click Play below to view now. All you need to do is select your ingredient combinations from the above chart. 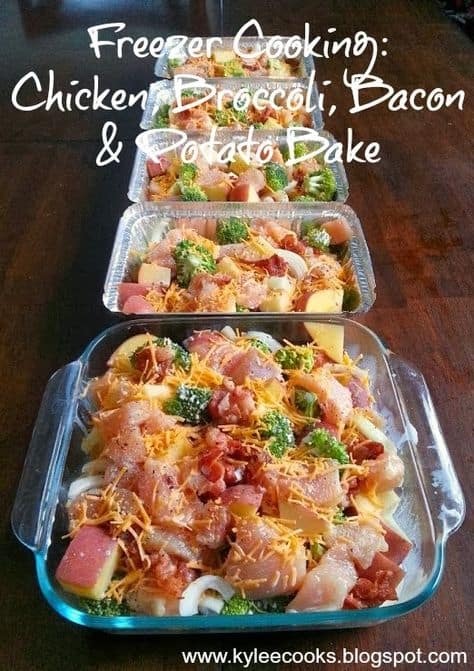 Combine the ingredients with 2 pounds of chicken in a Gallon size zip lock bag. You can freeze for up to 3 months. When you want to whip them up in your Slow Cooker, simply thaw and add them to your Crockpot. Cook on low setting for 8 hours and you will have a delicious family meal that everyone will love. 3-5 boneless, skinless chicken breasts or 8-10 boneless, skinless chicken thighs 1/2 cup maple syrup 3 Tbsp. cider vinegar 3 garlic cloves, minced 3 Tbsp. soya sauce** 3 tsp. fresh grated ginger 1 tsp. pepper Cooking instructions: Thaw. Bake in the crock pot on low for 4-6 hours or bake at 350° for an hour, covered, uncovering for the last 15 minutes. **if you are making these gluten free, be sure to use gluten free soy sauce. 3-5 boneless, skinless chicken breasts or 8-10 boneless, skinless chicken thighs 3 garlic cloves, minced 1/4 cup lime juice 1 tsp. lime zest 1 tsp. thyme 1/2 tsp. pepper 1/4 tsp. salt 2 tsp. olive oil Cooking instructions: Thaw. Bake at 350° for an hour, covered or in the crock pot on low for 4-6 hours. 3-5 boneless, skinless chicken breasts or 8-10 boneless, skinless chicken thighs one bottle of Russian salad dressing (don’t use Creamy Russian dressing. If you can’t find this, you can substitute with Catalina dressing) 1 1/4 cups Apricot jam 3 Tbsp. dry onion soup mix* *She uses an MSG-free, gluten-free dry onion soup mix. Cooking instructions: Thaw. Bake at 350° for an hour, covered or in the crock pot on low for 4-6 hours.